The award-winning Atlantic String Machine has performed worldwide. Jan. 17, 2019 11:54 a.m. The North Island Concert Society is pleased to present the phenomenal Atlantic String Machine at the Civic Centre in Port Hardy on Saturday, January 26th at 7:30pm. The award-winning Atlantic String Machine has performed worldwide with internationally recognized symphony and chamber orchestras, ensembles, bands and individual artists. ASM has been wowing audiences with its performances of a wide range of music – from classical to jazz, to pop, to world music, along with the group’s own compositions. Based in Prince Edward Island, the ensemble has played to sold out audiences from coast to coast. For their concert in Port Hardy, Atlantic String Machine has chosen works from Bach to the Beatles and some Grieg, Mozart, David Bowie and Leonard Cohen – among others. They will also feature some of their own award-winning compositions. There is definitely something for everyone in this show! The Atlantic String Machine is based on Prince Edward Island and was formed in April 2015. The group is made up of five musicians with considerable experience in many musical genres, having performed worldwide with internationally recognized symphony and chamber orchestras, ensembles, bands and individual artists. They have recently joined together to present a wide range of music from classical to jazz, pop, world music and their own compositions. Since its inception, the Atlantic String Machine has performed numerous concerts across PEI and into other Canadian provinces. ASM enjoys producing its own concert series each season as well as collaborating with musicians from many genres, including well-known Newfoundland jazz guitarist Duane Andrews, pop group Paper Lions, folk group The Once and singer songwriters such as James Keelaghan and Matthew Byrne. In April 2018, the Atlantic String Machine undertook its first large scale tour, traveling to British Columbia for performances in Vancouver, Victoria, Duncan and Cortes Island as well as a feature showcase at the Pacific Contact conference. Summer 2018 includes a return to BC for the Vancouver Island Music Festival, collaborations with Sarah Slean and Lennie Gallant and appearances at the 2018 PEI Mutual Festival of Small Halls and Indian River Festival. In September 2018, the group will be showcasing at Contact East 2018 in St. John’s, Newfoundland, performing with PEI songstress Rachel Beck. 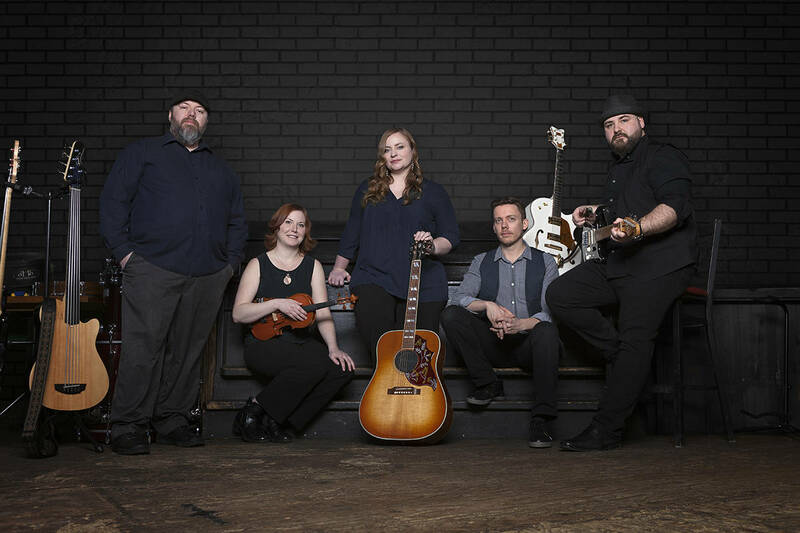 In 2016, having been awarded a creation and production grant from the Arts Council of Prince Edward Island, the ASM recorded their debut CD, ‘Lost Time’ with the assistance of John D.S. Adams of Stonehouse Sound. The CD, released in September 2016, includes the eclectic mix of repertoire for which the ASM has become known. ‘Lost Time’ was nominated for a 2017 East Coast Music Award for best classical album, as well as the title composition being nominated with its composer Sean Kemp for best classical composition. The Atlantic String Machine was nominated for and won the 2016 and 2017 Music PEI awards for Achievement in Classical or Jazz, and was also nominated for Group Recording of the Year and New Artist of the Year. Originally formed 21 years ago by Gwen Doi, Malcolm Fleeton, Maureen Lee and Gretchen Frith, the North Island Concert Society has dedicated itself to providing an annual series of concerts in a variety of musical styles and has a proven track record in presenting top quality professional entertainment to our audience. Now in its 21st Concert Season, the leadership of the North Island Concert Society has been handed over to a new Board of Directors who are committed to continuing the musical legacy built by the original founders.